Tag Archives: Robert P. Young Jr.
A Court of Appeals ruling that a jury should decide whether soap residue in a YMCA shower is an open and obvious danger is “flabbergasting,” says Michigan Supreme Court Chief Justice Robert P. Young Jr.
Milagros Dascola slipped and fell in the women’s shower at a Lansing YMCA. The case went to trial. At the close of proofs, the trial court granted Dascola’s motion for a directed verdict, ruling as a matter of law that soap scum on the shower floor was not an open and obvious condition. The case went to the jury on the remaining issues. The verdict was $110,000; Dascola was found 40 percent negligent. The trial court entered a $62,000 judgment. In a split decision, the COA, in Dascola v. YMCA of Lansing (majority opinion) (dissent), reversed and remanded for a new trial. The majority ruled that the open and obvious issue should have gone to the jury. The dissent, although not openly flabbergasted, said the trial court should have granted the YMCA’s motion for a directed verdict as a matter of law on the open-and-obvious issue and dismissed the case. Dascola appealed. The MSC denied leave. There is no question that, under Michigan’’s well-established premises liability law, the presence of water and soap residue in a public shower constitutes open and obvious dangers. As such, these conditions do not give rise to liability for a premises owner, and I believe that the lower courts clearly erred in not reaching this conclusion as a matter of law. However, because defendant has not filed a cross-appeal in this Court challenging the lower court’s determination that defendant is not entitled to summary disposition, I concur in the Court’s order denying leave to appeal. [T]he conclusion by the majority of the Court of Appeals that a question of fact exists regarding whether soap residue in a shower presents an open and obvious danger is, quite frankly, flabbergasting. Even a casual review of this state’s premises liability and “open and obvious” caselaw compels the conclusion that any danger created by soap residue in a public shower presents an open and obvious condition. Although the proposition is so self-evident that it hardly merits stating, it is within common understanding that the flat tiled surfaces that comprise a shower will by their nature become wet and can therefore become slippery, particularly when soap or similar products are used. It is hardly surprising that soaps, shampoos, or other bathing substances will be used in a shower and may leave residue or “soap scum” on the shower’s surface. That such surfaces may become slippery represents a quintessential “open and obvious” hazard. Moreover, there were no special attributes to this shower that rendered it uniquely or unreasonably dangerous. A reasonably prudent person of ordinary intelligence understands that a wet public shower poses a slip-and-fall hazard, particularly where soap or other residue may be present on the shower’s surface. The conclusion of the Court of Appeals majority holding that there is a question of fact in this regard defies common sense. A medical malpractice plaintiff can’t use Bush v. Shabahang and MCL 600.2301 to amend his notice of intent (NOI) to add a party to the lawsuit, the Michigan Supreme Court ruled. In the majority decision of Driver v. Cardiovascular Clinic, Justice Mary Beth Kelly wrote that the NOI only applies to the person upon which it was served. Therefore it didn’t toll the statute of limitations for any non-parties. Further, she wrote, Bush is inapplicable to the case because it requires the case be pending, which this one was not, at least against the non-party. Although plaintiff gave CCA an NOI, he could not file a medical malpractice claim against CCA because the six-month discovery period had already expired. Service of the NOI on CCA could not, then, have been part of any “proceeding” against CCA because plaintiff’s claim was already time-barred when he sent the NOI. A proceeding cannot be pending if it was time-barred at the outset. Therefore, MCL 600.2301 is inapplicable because there was no action or proceeding pending against CCA in this case. She also said that allowing the plaintiff to amend the NOI would alter the substantial rights of the non-party. Every defendant in a medical malpractice suit is entitled to a timely NOI. The legislative purpose behind the notice requirement “was to provide a mechanism for ‘promoting settlement without the need for formal litigation, reducing the cost of medical malpractice litigation, and providing compensation for meritorious medical malpractice claims that would otherwise be precluded from recovery because of litigation costs . . . .’” Applying MCL 600.2301 in the present case would deprive CCA of its statutory right to a timely NOI followed by the appropriate notice waiting period, and CCA would be denied an opportunity to consider settlement. CCA would also be denied its right to a statute-of-limitations defense. These outcomes are plainly contrary to, and would not be in furtherance of, the Legislature’s intent in enacting MCL 600.2912b. Finally, the court held that Burton v. Reed City Hosp. is still alive, even under Bush. Nothing in Bush altered our holding in Burton. The central issue in Bush involved the effect an NOI had on tolling when the NOI failed to comply with the content requirements of MCL 600.2912b(4). The central issue in Burton involved the effect the plaintiff’s failure to comply with the notice-waiting-period requirements had on tolling. Indeed, the Bush Court repeatedly emphasized that the focus of MCL 600.5856(c) is compliance with the notice waiting period set forth in MCL 600.2912b.67 In contrast to placing doubt on the viability of Burton, this aspect of Bush aligned with Burton’s holding that a plaintiff must comply with the notice waiting period to ensure the complaint tolls the statute of limitations. 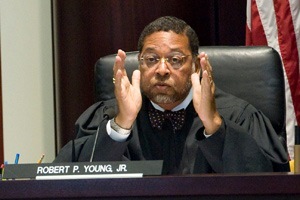 Chief Justice Robert P. Young Jr. concurred, incorporating by reference his dissent from Potter v. McCleary regarding the service of an NOI on a professional corporation. Justice Diane M. Hathaway dissented, arguing that the plaintiff should have been allowed to amend the notice of non-party statute. allowing plaintiffs to file claims against nonparties at fault, nugatory. This clearly was not the intent of the Legislature and violates the basic tenets of statutory construction. The majority fails to recognize that the NNPF statute creates it own 91-day window in which to bring claims against identified nonparties at fault. If the majority’s reasoning were correct, and a plaintiff were not afforded the opportunity to start his or her claim by providing an NOI to the nonparty at fault during the 91-day window, the NNPF and NOI statutes would be in irreconcilable conflict. She wrote that, in this instance, the plaintiff tried to meet the requirements of the statute, and therefore, Bushshould have allowed him to amend the NOI. Justice Michael F. Cavanagh said he would concur with the result of Hathaway’s dissent. 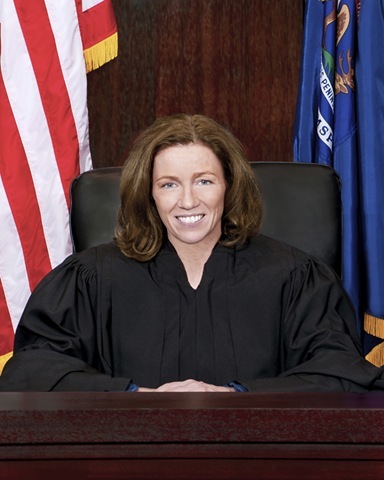 In People v. Fackelman, the Michigan Supreme Court ruled that the prosecution’s failure to call an independent psychiatrist to testify during trial violated the Confrontation Clause. In the majority opinion, Justice Stephen J. Markman wrote that the psychiatrist’s opinion was essentially the tiebreaker in the “battle of the experts” and had great importance because 1) the exam took place soon after the alleged crime and 2) the expert had no affiliation with either party. [O]ur review of the record leads inescapably to the conclusion that Dr. Shahid [the independent expert] was a true “witness against” defendant. The ultimate issue at trial was not whether defendant had actually engaged in the conduct that led to the criminal charges; instead, it was whether he was legally insane at the time. At trial, the medical term that both testifying experts used as shorthand for describing legal insanity was “psychosis,” which, as the prosecutor’s expert explained to the jury, is “when a person loses touch with reality.” Repeatedly, the jury’s attention was focused on this particular mental state. The experts defined “psychosis,” described the symptoms of a person in a “psychotic state,” debated whether a person “could slip in and out of [psychosis] at various time frames,” offered their opinions regarding the effect of psychosis on memory, and rendered their own diagnoses in terms of whether defendant was experiencing psychosis, with the defense expert, Dr. Mistry, concluding that he was and the prosecution’s expert, Dr. Balay, concluding that he was not. In this context, the prosecutor’s improper introduction and repeated use of Dr. Shahid’s diagnosis that defendant was not, in fact, experiencing psychosis fully rendered the doctor a witness against defendant. In all, Markman said the use of the report and diagnosis was plain error that was outcome-determinative because the sole issue of the trial was the defendant’s mental state. Chief Justice Young dissented, joined by Justice Brian Zahra, arguing that the defendant waived his Confrontation Clause argument because he didn’t call the witness either. Such a decision was a strategic one because, “he believed that the author would be a bad witness for the defense and would undermine the proffered insanity defense,” Young wrote. Markman and Young squared off in the opinions over whether the medical reports are testimonial under Melendez-Diaz v. Massachusetts. The Michigan Supreme Court released opinions in three of the eight cases that remain pending for the 2010-2011 term. All three opinions released yesterday were criminal cases. In the first, People v. Kowalski, the court found that the trial judge’s omission of the actus reus was a plain error, but upheld the defendant’s conviction for accosting a minor for immoral purposes or encouraging a minor to commit an immoral act. The court found that defendant effectively waived the issue because his counsel didn’t object to the jury instruction, and even if he didn’t waive it, the prosecutor produced sufficient evidence at trial to support the jury’s guilty verdict. The count was 7-0, but Justices Michael Cavanagh and Marilyn Kelly concurred in the result only. Cavanagh wrote a concurrence in which he disagreed with the lead opinion’s waiver analysis. He also suggested the lead opinion should have applied a harmless error analysis for a constitutional error, rather than the plain error analysis it used. This was a 6-1 decision with Justices Diane Hathaway and Marilyn Kelly concurring in the result but dissenting to the part about predatory conduct. Justice Michael Cavanagh dissented. Finally, in People v. Bonilla-Machado, the court found that a prison employee is a “person” to establish a continuing pattern of criminal behavior for scoring offense variable 13. Probably more importantly, it held that the application of enhanced maximum sentencing is discretionary and not mandatory as the trial court had stated. The justices quibbled over the scope of crimes OV 13 can be scored. Inkster Chief Judge Sylvia James has until Monday to explain to the Michigan Supreme Court why the 22nd District Court has a community service fund, and must submit written justification of several expenditures from the account, including thousands of dollars spent on travel. The inquiry comes after the state court’s administrative office completed an audit of the Inkster court’s finances, which uncovered sloppy bookkeeping and raised questions as to whether the district court is paying payroll taxes or withholding taxes for workers who are paid monthly stipends. Among the charges James must justify are donations to the Inkster High School Class of 1969 and to Delta Sigma Theta for a 50th anniversary book. There’s also the issue of the $12,000 in travelling expenses to send the judge and court employees to drug court conferences. Inkster doesn’t have a drug court. According to the audit, the Inkster court transferred its bank accounts from Chase Bank to Bank of America in September, and maintains three accounts with Bank of America, which include a depository account, a trust account and the community service account. City officials said funds totaling about $250,000 were transferred by the court from Chase to Bank of America after the City Council voted in August to add the city manager and treasurer as signatories for the accounts. James and Anderson are the only signers on the new accounts at Bank of America. Stay tuned. This could get interesting. 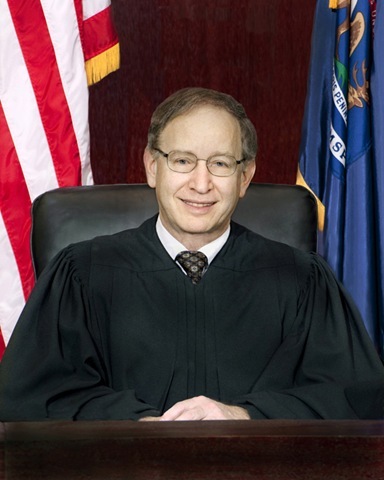 Michigan Court of Appeals judge Brian Zahra was appointed by Governor Rick Snyder to replace Maura Corrigan on the Michigan Supreme Court. In a statement, Chief Justice Robert P. Young Jr. said Zahra is an excellent choice. “I have known Justice Zahra almost since he began practicing law. He has had a remarkable career as a lawyer and as a judge; he is widely recognized as one of the state’s top jurists,” Young said. “I believe that this Court has adopted more of his decisions than those of any other sitting lower court judge. Snyder’s pick follows through on a promise the new governor made to select a “rule of law” justice to replace Corrigan, said Robert S. LaBrant, senior vice president of political action and general counsel for Michigan Chamber of Commerce. “His record as a Michigan Court of Appeals judge shows that he is a rule of law judge,” LaBrant said. LaBrant added that Zahra’s track record of winning elections – twice since his appointment to Court of Appeals in 1999 – makes him a “solid appointment” who can win when he has to run for re-election in 2012 and 2014. Snyder didn’t name Zahra’s successor in the Court of Appeals at the press conference. Carol Lundberg and Brian Frasier collaborated on this post. Newly elected Chief Justice Robert P. Young Jr.
As expected, Robert P. Young Jr. has been elected Chief Justice of the Michigan Supreme Court. In a press statement, Young said his highest priorities as chief justice will include reversing everything that happened in the last two years cutting the judicial budget and improving judicial services.